"He Only Laughs When I Hurt!" 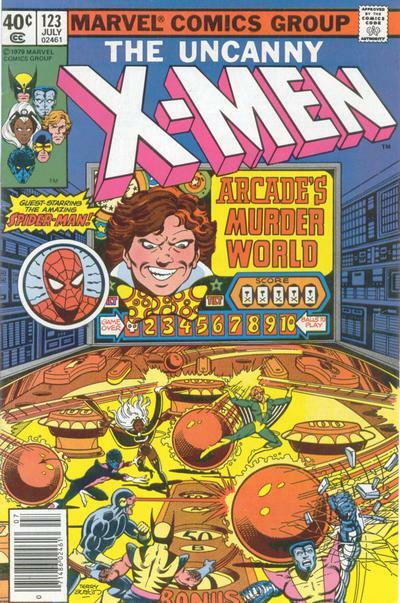 The X-Men escape Murderworld (alive). 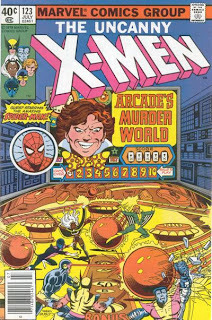 Arcade watches as Cyclops and Wolverine reluctantly fight a brainwashed Colossus, stopping to tell Colleen Wing and the other imprisoned X-girlfriends his origin. The battle amongst the X-Men leads to Wolverine and Cyclops getting separated. Meanwhile, Storm finds her trap filling with water to the point where she's almost out of air. Cyclops emerges in Nightcrawler's trap and destroys one killer buzzsaw car, only to have several more appear, while Wolverine runs into Banshee, now beset by science fiction star fighters. With the help of his heightened senses, Wolverine is able to find a maintenance tunnel, but when he Banshee enter it, they are confronted by the incredible Hulk and Magneto. 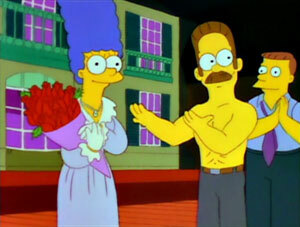 Marge stars in "Oh, Streetcar! ", a musical version of A Streetcar Named Desire. Feeling isolated, Marge auditions for a community play, much to Homer's annoyance. 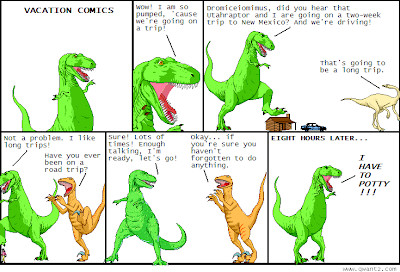 This was another episode held over from the third season production run. It was also, along with "Mr. Plow", one of the first Simpsons episodes to be submitted for an "Outstanding Comedy Series" Emmy, thanks to a rule change that allowed animated series to be submitted as comedy series. Though The Simpsons had (and continues to have) success with the Emmys, it's generally considered that voters weren't ready to judge animated episodes alongside live action, and neither episode received a nomination. Bart and Lisa go to Krusty's summer camp. Despite forging his grades to meet Homer's requirement of a "C" average, Bart and Lisa are shipped off to Kamp Krusty for the summer. After this episode was created and scheduled as the fourth season premiere, but before it aired, producer James L. Brooks called the writers and suggested the script for this episode could be expanded upon and used for a Simpsons movie. Showrunner Al Jean told him that as it was, the episode came up short (they had added a few verses to the Kamp Krusty song to pad out the running time), making it doubtful it could be expanded into a full length feature, and that if this episode was held for a possible movie, then they'd have no episode with which to start the season. One of the best television shows ever has come to an end this year (three different times depending on how/when you were watching it). The show was Friday Night Lights. It got me to thinking of where it ranks among all other television series I've watched. So, long story short, I decided to rank every show I've ever watched. So, after going through the process of finding/remembering all television series I've seen and then ranking them, I've finally compiled a list. The X-Men pick up their lives back in New York. Finally back at the mansion, Colossus trains in the Danger Room but is unable to stop a hydraulic press despite being nowhere near the limits of his strength. 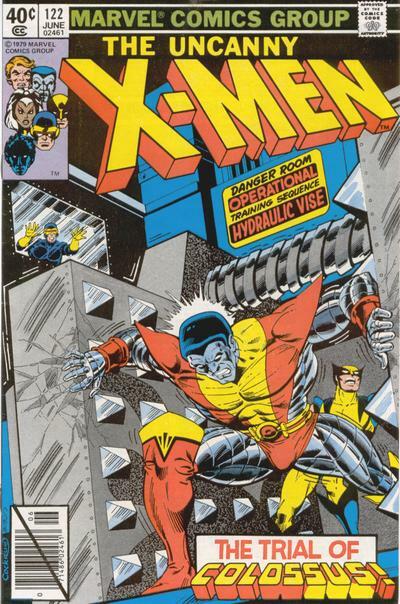 Wolverine disables the Danger Room controls and enters the room, placing himself between the presses. Chiding Colossus for letting his homesickness overwhelm him, Wolverine refuses to get to safety, forcing Colossus to overcome his worries in order to save Wolverine. Meanwhile, Cyclops leaves for town to get the phones turned back on, worried that Xavier and Lilandra may never return. In Shi'ar space, Professor X wonders how his relationship with Lilandra will change after she is crowned Empress. In Stornoway, Scotland, Jean bumps into a handsome man named Jason Wyngarde on her way to meet Moira, not knowing that Jason has plans for her involving the Hellfire Club. Cyclops, Colossus and Storm arrive at the Calgary Stampede Grounds, having tracked Vindicator's energy signature to the location. As they fan out, Cyclops recalls the X-Men's forced landing in Canada and the subsequent attack by Alpha Flight. 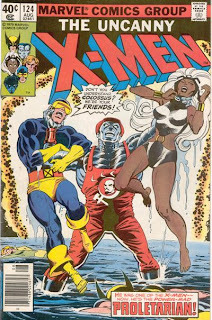 Storm finds Nightcrawler and Wolverine bound in the center of the fairgrounds, but before the X-Men can free their teammates, Alpha Flight appears. Outside, Misty, Colleen and Banshee arrive, but are unable to enter due to Alpha Flight member Shaman casting a spell to keep out intruders. 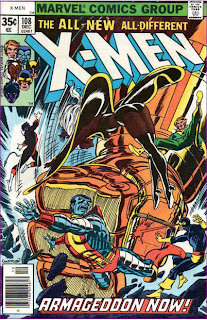 Inside, Vindicator tries to reason with Cyclops and allow the X-Men to leave without Wolverine, but a suspicious Colossus attacks Sasquatch and a fight soon erupts. Homer's half brother Herb reappears and invents a baby translator. AKA the one with the vibrating chair. After a routine physical shows that Homer is sterile due to years of working at the nuclear power plant, he is awarded the First Annual Montgomery Burns Award for Outstanding Achievement in the Field of Excellence in order to disguise the $2,000 settlement he receives from Mr. Burns. The sudden windfall attracts the attention of Homer's estranged, derelict half brother Herb. I will be on vacation all of next week, boozing it up, reading, and watching movies at the cabin in that catch-all place we Minnesotans call "up north" (no, not Canada). More importantly, I will be offline for the next week or so (barring occasional checks of my fantasy baseball team on my phone). But never fear! 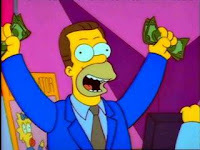 I have a Simpsons Retro Reviews post scheduled for Monday (the final episode of season three) and an X-aminations post scheduled for Wednesday (the conclusion of the X-Men's dust-up with Alpha Flight). 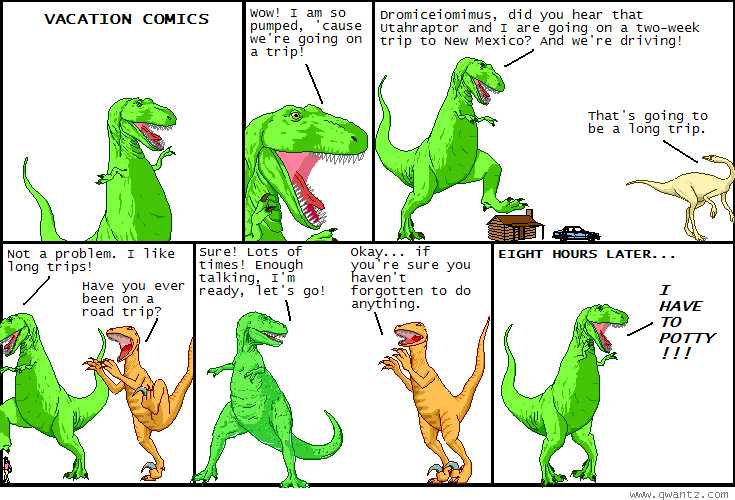 I just won't be around to respond to comments until the week after next. Hope everyone has a great week/couple weekends! "Wanted: Wolverine! Dead or Alive!" The Prime Minister of Canada and Vindicator (nee Weapon Alpha) watch footage of the X-Men battling the Mandroids in Japan. 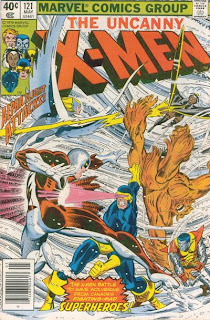 The Prime Minister insists that Vindicator capture Wolverine, and Vindicator calls on his teammates in Alpha Flight to help him. 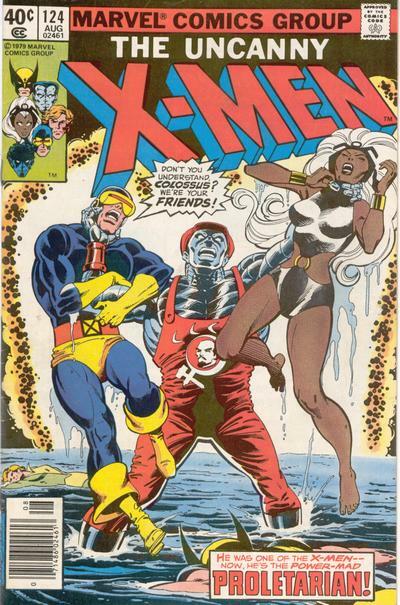 In Japan, the X-Men say goodbye to Sunfire and board a private plan with Misty Knight and Colleen Wing. On their way back to New York the plane encounters a storm that seems to have an intelligence behind it, guiding them to Canada, where they're forced to land. 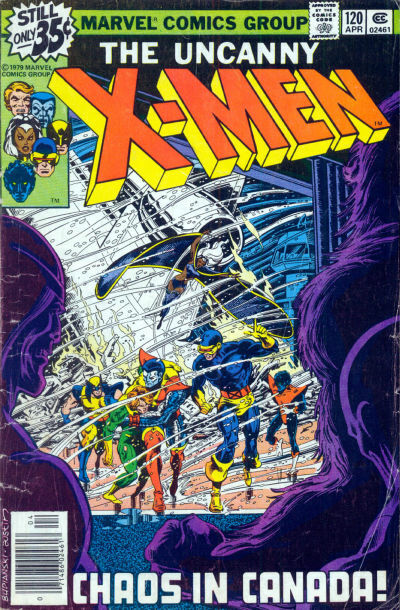 On the runway, they are confronted by Vindicator, who demands Wolverine's surrender. Thankfully, Alpha Flight strongman Sasquatch's over-eagerness destroys the plane, giving the X-Men an avenue of escape under a cover provided by Storm. After stealing Homer's change jar in dramatic fashion, a Magic 8 ball foretells that Bart and Milhouse's friendship will soon come to an end, bewildering them until Milhouse becomes smitten with new girl Samantha Stankey. The opening sequence of this episode obviously parodies the opening of Raiders of the Lost Ark (with Bart as Indy). The producers contacted Steven Spielberg to clear usage of John Williams' "Raiders March" for the sequence.